When you called the other day to inform my father and I that he over paid his garage and porch statement by $7,000.00 well, we could hardly believe it. Time and time again in the media all we hear about are those dishonest contractors who take advantage of unsuspecting and elderly home owners. Your honesty and integrity is truly refreshing and Western Construction, Inc. is a credit to your industry! "We greatly appreciated your integrity and selling style"
We want to thank you so much for a most pleasant "new build" experience. We greatly appreciated your integrity and selling style (i.e. no nonsense and not oversell - just build what we really need). Your crews (even the clean-up fellow) were great people. Again, thanks so much! We'll most definitely be spreading the positive words about Western Construction. We just wanted to express our thanks for the extra effort everyone at Western Construction, your scheduler and crews put in to have our garage usable for the High School Graduation Party we threw for our daughter a couple of weeks ago. It really helped to have the extra space for seating people. Thanks for delivering on your promise. Thanks for the great job on our garage., I wish we would have done this years ago. We would not hesitate to recommend Western Construction to our neighbors. I'm glad the weather was cooperative too. "It's Done And Done Well - I Can Scratch It Off My List." Scott we are very pleased with our 6 new windows. They are as tight and sound as you said they would be. 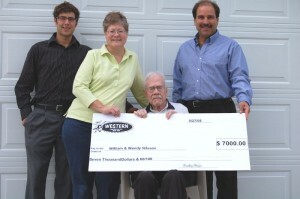 "My New Home Windows Have Saved Me A Tremendous Amount On My Energy Bill." I just wanted to take a moment to sincerely thank you for the wonderful windows Western Construction installed on my St Louis Park home. WOW! I can't stop looking at my garage, I feel so good about it. What a difference it made to our home and increased the value. We had obtained several bids from other companies and decided to go with Western Construction. Most Replacement Window Contractors Wouldn't Give Us A Ball Park Figure, But Brad Chazin Did! I called Western Construction and other window installers late last summer. Most would not give me a ball park figure (I wanted to find out if it was doable for last year). When we closed on the home improvement loan the first thing the closer said was what a pleasure it was to deal with your contractor! While discussing a new garage and home siding project with Brad Chazin the Owner of Western Construction, Inc. he mentioned it would be a great time to also consider window replacement. We have had work done by Western Construction, Inc twice in the past three years. We have had work done by Western Construction, Inc twice in the past three years. Once to replace the siding on our home and do some remodeling on our entry way and the last time in December 2010 when two patio doors and five large windows were replaced. Our experience with Western Construction was excellent. Our experience with Western was excellent. They were here everyday until the job was complete with exception of a few days where rain prevented them from working. From the sales call to the finished product, Western Construction company was fast, friendly, and professional. From the sales call to the finished product, Bradley Chazin's company was fast, friendly, and professional. We had several unusual request and Western Construction took care of them like the garage experts they are. We had several out of the ordinary requests and all were done exactly as we wished. They were very polite and considerate both to us and our neighbors. Western Construction is a very professional company. Brad Chazin assisted me in selecting the garage size and the location. I had a new garage installed. They also removed the old garage including the old cement slab. I had a great experience with Western getting a new garage. The overall experience was more than I could expect. The sales consultant was wonderful and made me feel very comfortable about my new addition. I am so happy I decided to go with Western Construction for my garage. I love it! 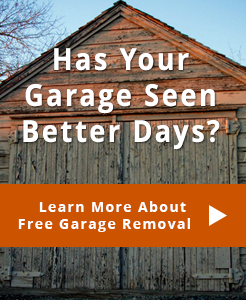 These guys at Western Construction are passionate about garages! Brad had a number of great ideas, and I learned quite a bit about concrete during our discussions :-). Brad was very professional, and was able to provide us with a thorough quote right on the spot. I talked to three different garage builders and Western Construction had the best price. They did a good job, finished the job on time and they were great at following up the work. The garage is well built and they did a great job cleaning up after themselves. Everything with Western Construction was very high quality all the way through. The quote matched the ending price. They were very professional and responsive. "Now I Have A Nice Looking, Functional Garage." Everything was done well, timely, tidy... really appreciate having a nice looking, functional garage. I will pass on your name. The guys from Western Construction did a great job on my roof! It's so nice to have work done as promised. They showed up on time, stayed with the job until completed and my yard was as clean as it was before they started the job. I feel lucky that I found you. Good price, great work and no more leaking! Best of all, you followed through with everything you said you would do. "We Just Wanted To Thank You." We're writing to commend one of your carpenters. Dennis was sent by Western Construction to repair our service door after someone broke into our garage August 1st. He secured the door Friday and came back Monday to repair the frame at no cost to us. We just wanted to thank you.